Thanks for your interest in Our Company. 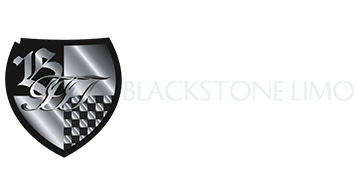 We are one of Seattle’s leading Limousine and Town Car operators and are always looking for exceptional people. We are not interested in people who want to be a driver, we want people who will take the extra step and be a chauffeur. We have an exclusive clientele who pay top dollar for our services and expect the best. We provide it to them. We are primarily looking for chauffeurs who want to work full time during weekdays and weekends. We are also looking for folks who want to work part time. The full time positions will involve being available for early morning work, meaning some runs start as early as 4 am. Of course the hours vary depending on our customers’ needs. We have a tremendous amount of work during the early morning and afternoon hours. However we will also consider those available during evenings and weekends. Our current chauffeurs find that they can work as many hours as they want because of the high demand for our vehicles. Much of our work is last minute and some of it you know about a week in advance. There are many changes on a day to day basis so this is not the kind of job a person who cannot handle a rapid pace would want. It also can be a very relaxing job, there are runs that involve 30 minutes of driving and 4 hours of reading. All in all, if you can make our customers happy, you will do very well with your tips. The very minimum you will makefor a run is $15. The average sits between $23 and $27 an hour. Over half our current livery staff has beenwith us longer than three years, which is extremely high for the limousine industry, so we must be doing something right. Be absolutely phenomenal with customers. Have 7 years driving experience. Be a non-user of nicotine products. Be able to drive long vehicles. A CDL is preferable but not a necessity. Have transportation to the Renton area. Speak, read and write English fluently. Must be able to be flexible with scheduled driving. Please do not call our offices to apply for this position, you will be immediately disqualified for not being able to follow instructions. Much of our business is generated by customers calling our offices in order to garner information and price quotes. There is no cold calling involved in this position. This is not telemarketing. This position is about helping people fill their needs for reliable, fun, safe transportation. We are looking for someone who can work the busy phone times (roughly noon till 7pm Tuesday – Saturday). These hours are not set in stone since they really depend on the right person’s availability but Saturday work will definitely be a requirement. The compensation for this position is negotiable DOE. It will be partly commission based since some of it will involve responding to online requests for reservations which can come in at any time. We ‘re looking for someone who is going to help out customers, not hard sell to them. Our services and our vehicles are the best around and you need to be the friendly, helpful voice behind the company. When not working the phones there are a variety of tasks that you’ll be doing: Addressing envelopes, printing invoices, writing “thank you” letters, cleaning cars, interviewing a chauffeur, finding addresses on the Internet, helping schedule the next days runs… whatever it takes to keep the company rolling. We’re looking for a person who takes pride in their work and is always looking for ways to increase sales and expand the scope of Blackstone. Handle the phones like a pro. We’ve got the best vehicles, the best variety, the best staff, the best chauffeurs, the best reservation system…now we need someone who lets everyone know it. We’re looking for someone with lots of experience in corporate sales or similar work as a professional concierge. This position would involve cold calls, visits to corporate travel agencies, hotels, individual clients etc… Trade show and Chamber of Commerce meetings will also come in to play. You’ll be taking control of accounts and helping the clients realize the full benefits of a relationship with Blackstone. We’ll provide all the tools you need: Brochures, business cards, vehicles for show, software unrivaled in the area, and the best service in Seattle. All you have to do is make the customers realize it’s just foolish to travel any other way. If you’re able to be a chauffeur in addition to being a sales person, all the better. You will definitely have to be able to drive the vehicles from time to time. For sales purposes it would almost always be without passengers but nothing shows like a freshly waxed luxury limo. However, the personality of the person we’re looking for may override their inability when it comes to long vehicles and accommodations can be made. Compensation for this position will be DOE. A stipend will be involved along with commission for the accounts. Imagine garnering just a 1/4 of all corporate travel that a company like Microsoft does in a year. Now imagine yourself with a percentage of that in your bank account, all for dropping by and showing them why we’re the best. Please include your salary goals with your application. Send a copy of your resume and cover letter in word or text format to the link below.